This week they found something fabulous, right? that would be so fabulous and hip! or she would dance da wee-wee-jive. you can end awake but horrible wet. and for solid houses we raise our bone. 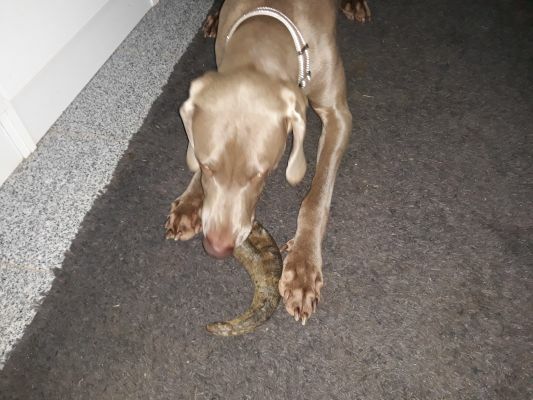 Posted by easyweimaraner on March 21, 2019 in animals, award, balls, BLOGHOP, Blogville, Braque de Weimar, cats, chien, endless wisdom, Family, pets, weather, weimaraner, weimaraners, writing and tagged Animal, Bloghop, Blogville, Braque de Weimar, Brittany, cats, Dog, dogs, Easy Rider, endless wisdom, Family, France, fresh style, Friend, garden, Gift, pet, pets, Weimaraner, weimaraners. Gosh you are right! If somebody was a sleepwalker it could be VERY BAD if you lived on the water. We don’t sleepwalk around here but I would miss my yard and grass and digging holes. 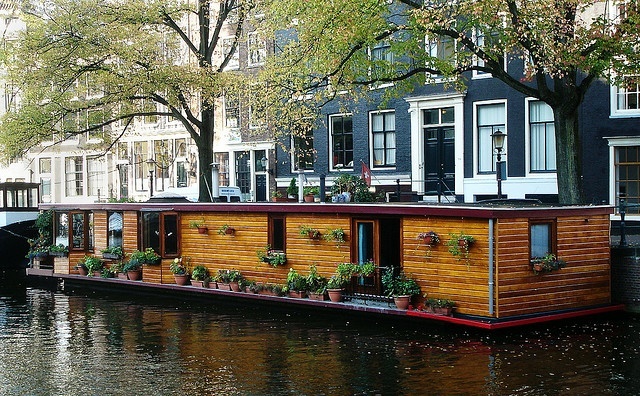 Well, it might be nice to VISIT a houseboat – maybe for a weekend? Well done poem. YAY! BOL BOL wee wee jive I think I know that dance step! Oh yea, sleepwalking sure could be a problem there! Gosh and where do we go out to pee? We would have to learn how to swim and fast! Great poem, guys! Hahahaha….leave it to you guys to look at it that way!! Very creative!! I would love to live on a boat, but agree that it is no good if you are a sleepwalker. Thanx Phenny an Neilosn an Miss Katty!!!! I would definitely wake up by falling into the water. Where would the boys go to the bathroom?? Nope, give me land to live on and water to play in. It is a very nice houseboat, but we wouldn’t be able to do outside zoomies very well:) That’s quite the bone you have there!!! If you are a sleepwalker, might be a good house to give a miss. It’s a lovely romantic notion to live on a houseboat but think life in a house on solid ground is probably safer and less complicated. Oh my…I think we are better off with our paws on solid ground. One wrong move and we’d be in the drink. Mom says it looks like Amsterdam to her. Is that a bone or a horn??? I’m with you, P. Living on water would be too much like bath day EVERY DAY! That used to be dry land until one of your peep’s DIY projects to fix a leak. LOve your poem!! 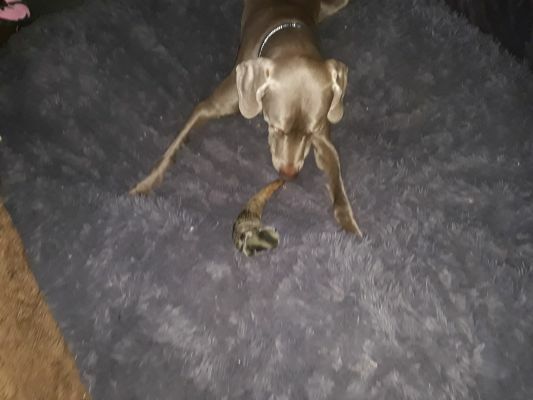 We had to look twice at your bone at first we thought you had a lizzard tail BoL!!!!! Another wonderful poem this week boyz! Our Mama would be doing the same PeePee dance!! BOL! 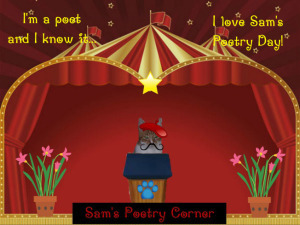 Loves the poem! And Ma knows abouts the weeweedance! BOL!!! Loves your horn! Gots to gets me one of those! You boys created a great poem. It would be fun for a bit then yes would need land.